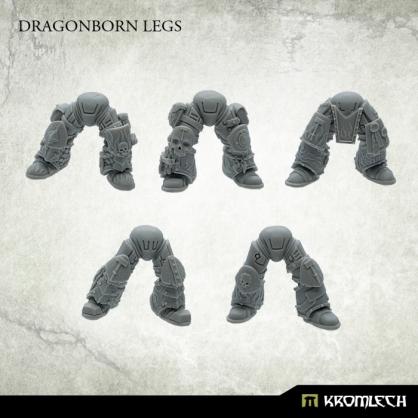 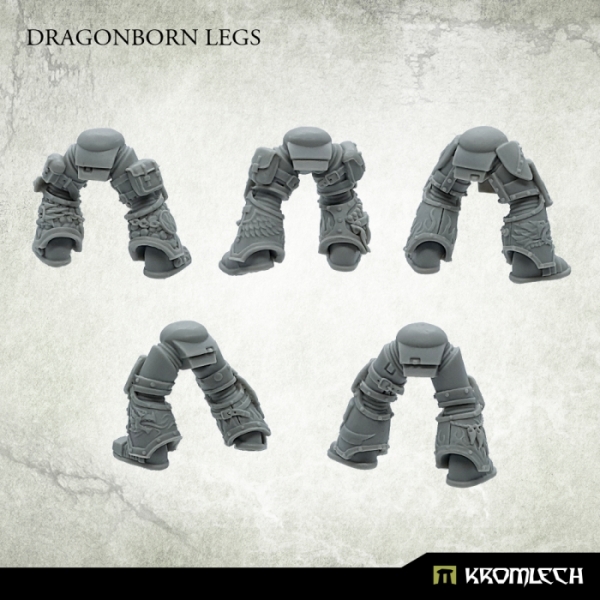 This set contains five Dragonborn Legs. Designed to fit futuristic 28mm heroic scale heavy armoured troopers. 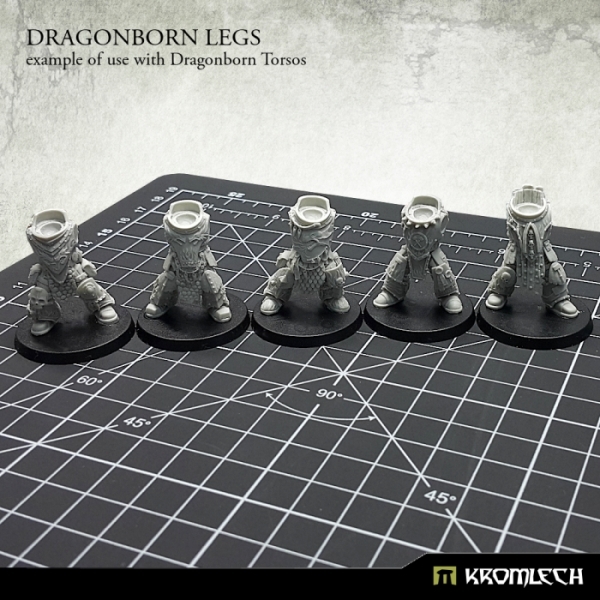 Please note that if you would like to use this set with our Dragonborn Torsos KRCB219 then you have to fit them as shown at example of use.